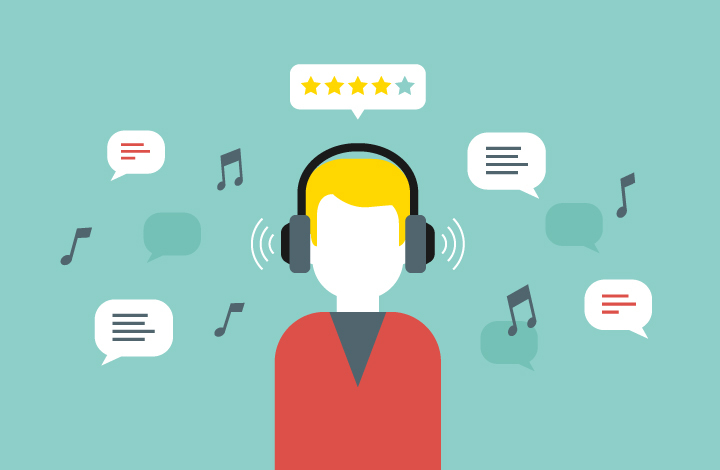 Active Noise Canceling headphones are great for blocking out unwanted sounds using smart technology, and we’re here to help you pick out the best. If you’re tired of your music being drowned out by noises from the street, your neighbors or coworkers, then a pair of noise canceling headphones for work is what you need. These innovative gadgets drown out the rumble and hum of everyday life, so you can hear your music without having to turn it up so loud that you risk ending up with damaged eardrums and hearing loss. This Bose headset will allow you to go wireless, while still being able to enjoy incredible noise-cancellation technology. No sound is a match for Bose, including planes, subways or screaming babies. They are comfortable and light enough that you can enjoy wearing them for the 20 hours their battery lasts. The controls are super easy to use, and the sound quality is second to none. If all of that wasn’t enough to convince you, Bose added a Google Assistant button, so you can quickly answer any pressing questions or queries. The ANC technology from Plantronics BackBeat Pro 2 will seriously quiet your surroundings. These noise-cancellingheadphones don’t have that sometimes annoying white noise hiss that other headsets use to cancel outside noises. If that weren’t enough, the battery lasts up to 24 hours, and the integrated smart controls are easy to use, allowing you to listen to music without any distractions or distortions. This headset is the priciest of the bunch, but what you are paying in price, you are also receiving in quality. This new version has added Bluetooth and NoiseGard, which is Sennheiser’s revolutionary active noise cancellation technology. The headphones combine leather and stainless steel for you to enjoy high-resolution music. The battery lasts around 22 hours, and they’re what you’re looking for if you are an audiophile. If you are looking for fantastic ANC technology in a more compact package, the Bose QuietComfort 20 headphones are the ones for you. They offer the right mix of tech, comfort, and style, to ensure performance and reliability. Some users find in-ear headphones to be uncomfortable for long periods of use, so if you don’t expect to use them for hours at a time or you find over-ears uncomfortable, then these should be the right fit. This smart looking pair of headphones is an upgrade from the previous model, while still maintaining the comfort level and slim profile of yore. They are considered one of the most comfortable pairs of headphones on today’s market, and it’s easy to see why. You can wear this set for hours without feeling any pressure in your ears or feel the need to take them off. They can be twisted and bent in a bunch of different ways while being super durable. Bose is the best at making effective ANC, and you can tell. The QuietComfort 35 II headphones create a silent environment by just pressing a button, and they are useful at not only canceling out low range tones, but they can also cancel most middle tone ranges, something that’s difficult to find. The noise canceling power is charged with a built-in rechargeable lithium-ion battery that lasts around 40 hours in wired mode or 20 hours in Bluetooth mode. This headset can be connected to Android or iOS devices with the touch of the button, and they are compatible with pretty much all Bluetooth supported devices. Connecting the headphones is hassle-free, and you can pair them to multiple devices. Bose is known for introducing noise-canceling headphones to the world while remaining synonymous with high-quality and high-end sound. These over-ear headphones will not produce the best sounding music, but they are the most effective noise cancellation headphones and the most comfortable on the market. They can be collapsed into a travel-sized convenient package, and while they’re not the cheapest, they’re well worth every penny. This headset earns our runner-up spot not because they have excellent ANC, as they may not be the best at noise canceling, but because they are the best at giving you a good mix of high-quality music with good ANC at an affordable price. They are Bluetooth compatible with all MP3s, tablets, and smartphones. The padded headband is made out of breathable fabric and along with their less bulky size, the luxurious and soft feel of the earcups makes them very comfortable for long music-listening sessions. Some of the best features of the Plantronics BackBeat PRO 2 include the open-listening mode which lets you amplify ambient sound, which is very convenient when you’re out on the street and need to be aware of the sounds around you for security. The headband features a sensor with ear detection, which automatically pauses the audio when you lift the noise-cancelling headphones off your ears and starts the music back on when you place them back on your head. The volume and power output are great, and the Plantronics BackBeat PRO 2 will deliver a full sound, but be prepared to perceive a lack of articulation if you listen to bass-heavy music. Same with listening to classical music or music with lots of vocals, the recessed and pushed-back sound may be a bit annoying, so you might want to avoid these if you are very particular about those sound ranges. Plantronics went back to the drawing boards before creating these headphones, fixing many of the issues of their previous model. They have managed to improve the sound quality and made the headset lighter and less bulky, which is always appreciated. While still not a budget buy, you’re getting a headset with excellent battery life, the ability to pair two devices at once, fantastic sound quality, and exceptional comfort. The Sennheiser Momentum headphone is not a budget buy, but you’re paying for high-quality materials and comfort. Their folding design means they are stylish and easy to transport, so you can take them wherever you need to go. The new model has bigger earcups, fitting better over your ears without pinching, and they’re also softer, so you can wear them for long periods of time. When it comes to technology, it’s Bluetooth compatible with all devices and has active noise cancellation and near-field-communications, which you just need to tap to pair with compatible devices (which include iOS and Android), along with supporting the aptX codec, which improves the sound when streaming over Bluetooth. You can also use it as a wired headphone by just attaching a cable, which we think enhances the sound. The headphone is easily operated by the on/off, volume control and playback buttons on the right earcup. Along with the Bluetooth speaker and headphones, this model includes built-in voice prompts, that tell you when your headphones are powered on or shut down when you have successfully paired the headset and let you know when your battery is running low. There is no switch to turn off noise cancellation, but the battery is still an impressive 22 hours long. The microphone works great, as you can hear your own voice and you don’t need to talk louder than necessary when making a phone call. This headset is beautifully made of faux-suede, stainless steel, and leather and elegantly engineered with stupendous sound and great technology. The noise canceling ability is excellent, leaving you to enjoy impressively sounding music. This is Bose’s first in-ear headphone with active noise cancellation, and it comes in two versions, one compatible with Apple products (QC20i) and another compatible with Android and other non-Apple products (QC20). This headset will fit securely in your ears and are very comfortable to wear for extended periods as they tend to rest loosely on your ears. To ensure they are suitable for everyone, they come with StayHear+ ear tips in three flexible sizes, each with wings that brace themselves against the cup of your outer ear. They are super lightweight and very travel-friendly, as they weigh just 1.5 ounces and come with a small carrying case. Bose added two microphones designed to monitor external noise and create a mirror soundwave so you can enjoy your music or audio in relative peace when you are in your office or out and about. These headphones come with a microphone that allows you to make calls and a switch for toggling the “Aware mode” which ramps down the noise cancellation abilities. Therefore, you can hear the sounds around you when you are out on the street and need to listen to the noise of approaching cars or even have a conversation with someone. For such a small headset, the ANC is very impressive, as you may think it would let in sound as it’s not jammed inside your ear. However, it does block out lots of sounds, leaving you to work in peace and concentrate on what you’re doing and what you’re listening to. As is typical with Bose products, the sound quality may not be what you get with other products of a similar price point, but they do produce a great sound, offer fantastic noise cancellation, are very comfortable to wear and very lightweight. If you are looking for in-ear earbuds, these are definitely worth considering. Few wireless headphones will give you such a premium listening experience with active noise cancellation. Sony created these headphones to compete with Sennheiser for sound quality and Bose for ANC performance, making them one of the best noise canceling headphones on today’s market. The noise-cancelling technology is comparable to Bose, which is still the market leader. You can choose from several ANC modes, as well as an additional feature which Sony calls “Adaptive Sound Control” that changes the ANC depending on the environmental sounds. When listening in ambient mode, you can choose to listen to vocal-only sounds, such as flight attendant announcements, or choose normal mode to be aware of traffic sounds. Quick Attention mode is activated by placing your hand over the right earcup, letting you hear everything going on around you. The build and design quality has improved from previous models, which had a problem with the headband cracking. Sony has tackled this problem by placing more effort on engineering the quality of the exterior as well as the interior electronics. The sound this headset delivers is fantastic, making for a gratifying listening experience, while the padded headband and earcups give you hours of comfort. Sony has set a new high bar for ANC Bluetooth headphones with the MDR-1000X. They have not quite reached the noise cancelation levels of Bose, but they fare well in that area while delivering a fantastic sound quality. If you have a Sony audio device or are looking for one of the best ANC headphones at a great price point, look no further. The AKG N60NC combines both sound and style in one very portable package. It has a 3D-axis folding mechanism, meaning that you can neatly tuck away your headphones when not in use, along with a solid metal-plastic frame, which means that they should last you a long time. It features excellent ANC capabilities, though the sound capabilities aren’t the most exciting. That being said, they do still have expansive, clean and well-balanced audio when they are in wired mode, and the Bluetooth connectivity is reliable. On wireless mode, there is a difference in sound quality, as everything sounds less immediate and a bit recessed, with a decreased bass definition. The AKG N60NC are light, portable and have been attractively designed, making it a great option if you live life on the go. The ANC works great, but one of the best features is the refined sound and design. The lows have detailed bass and great depth, the mids are very clear, and the highs have excellent results. Fit is one of the first things to take into consideration. Are you looking for a small and portable pair of headphones that fit in your ear, or do you want a larger over-ear pair? Most on-ear headphones pack their noise canceling properties into the cable, making them great for when you’re active (such as working out), but may not be as noise isolating as a larger over-ear pair. The bigger sizes will fit everything into the earcups, which in our opinion, makes them easier to live with, neater, and more efficient in noise isolation and canceling loud noises around you. If you are looking to take them with you, look for a collapsible design that is more travel-friendly. Many of today’s noise-canceling headphones are wireless, so you need to make sure that the battery life meets your need. Most pairs have around 20 hours of battery life, though some models offer more hours. Another factor to take into consideration is if they have a wired cable which enables them to work without power for any emergencies. There are two types of these headphones: active and passive. Active noise cancellation (ANC) is more technologically advanced, silencing ambient noise so you can listen to music while working without being disturbed. An ANC headphone will have one or more microphones to measure noise level and create sound waves to block ambient noise. Passive noise cancellation (PNC) or sound isolation means that the external noises are blocked via the ear cups, so they usually have a tighter seal and a high-density foam around your ears, helping with outside noise reduction. What is Active Noise Cancellation (ANC)? As we previously mentioned, ANC headphones have a tiny set of outward-facing microphones built into the headset, which are continually listening to the ambient sound around you. The digital signal processor will then take that audio and play the exact inverse of those sounds along with your preferred music, canceling out outside noises and dramatically reducing or completely silencing hums and rumbles around you. However impressive this technology, it doesn’t entirely eliminate all background noises. Low-frequency noises are more easily reduced, as high frequencies have a much shorter wavelength. The overall sound quality can be affected by ANC since the noise-canceling waves can interfere with the rate of your music. This effect is ordinarily minimal, and undetected for most music. And it’s definitely better than having to put up with background noise. Noise canceling headphones don’t just allow you to enjoy your music better and concentrate while working, as without them you would need to crank up the volume to drown out ambient noises. Exposing yourself to loud noise can not only lead to permanent hearing loss, but it can also alter how your brain processes speech. With ANC you don’t need to replace the outside humdrum with even louder sounds, meaning you can turn down your music to a more comfortable and enjoyable level without being distracted. Another benefit is that by playing your music at a lower level, you will have a more vibrant listening experience. By being able to turn down the volume, you can actually hear the intended variations and richness in the music without them disappearing when your volume level is cranked to the max. When you’re working, noise-canceling headphones are ideal, as any distracting sounds can make it hard to concentrate. When you block the external world, you can focus on the task at hand, without having to turn up your music.